How antique relics do talk... they bring to light successes and accomplishments of centuries past. A piece of history, something we can touch to remind us of ages long forgotten. They may also speak of nightmares, horrors that previous owner’s may have encountered. They serve as artifacts, teaching tools, even doorways. A recent excavation project on a New York State University campus, has led to a mysterious and frightening discovery. Inside the crate, a burlap bag containing dozens of old wooden blocks (as described by A.G.C. Corp. employee Martin Sarkiero). 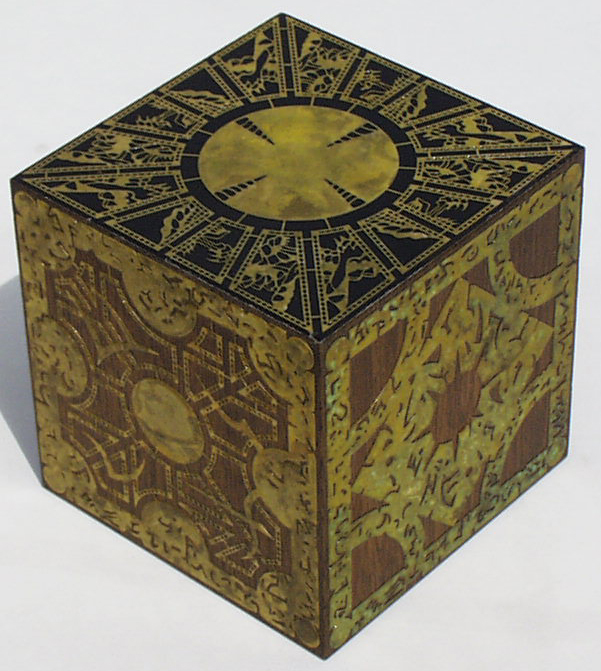 These boxes were later identified by historians as "puzzle boxes" (Lament Configurations) created by Philip Lemarchand, the French architect and genius of the occult. A background check further revealed that the site of the current library (70 Washington Square) was once the site of LeMarchand’s New York home. Even the library itself bears a striking resemblance to one of the puzzle boxes. A larger gateway perhaps, or maybe a landmark for unspeakable atrocities from the past. Of the ten men that were working on the construction project, only five escaped to speak of their discovery. The five men claim there were originally 60 boxes discovered, of which only 55 remain. The whereabouts of the five unaccounted for workers, as well as the five “missing” boxes, is still under investigation. 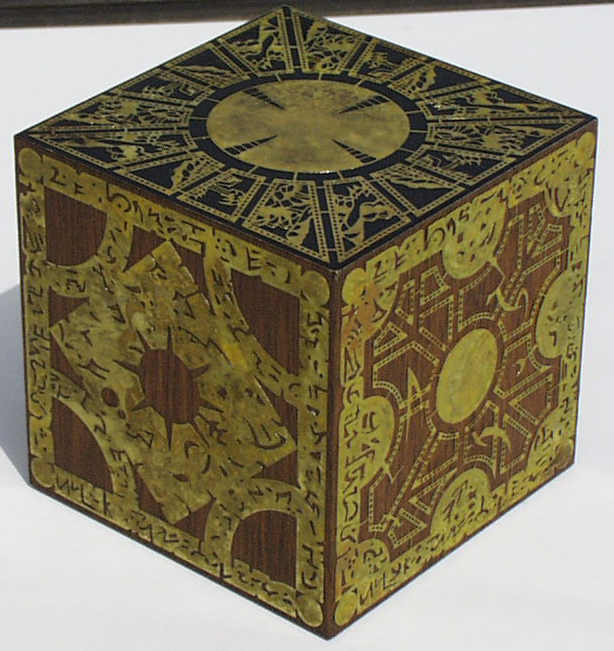 It is said that LeMarchand created close to 300 of his puzzle boxes before his disappearance in 1811. 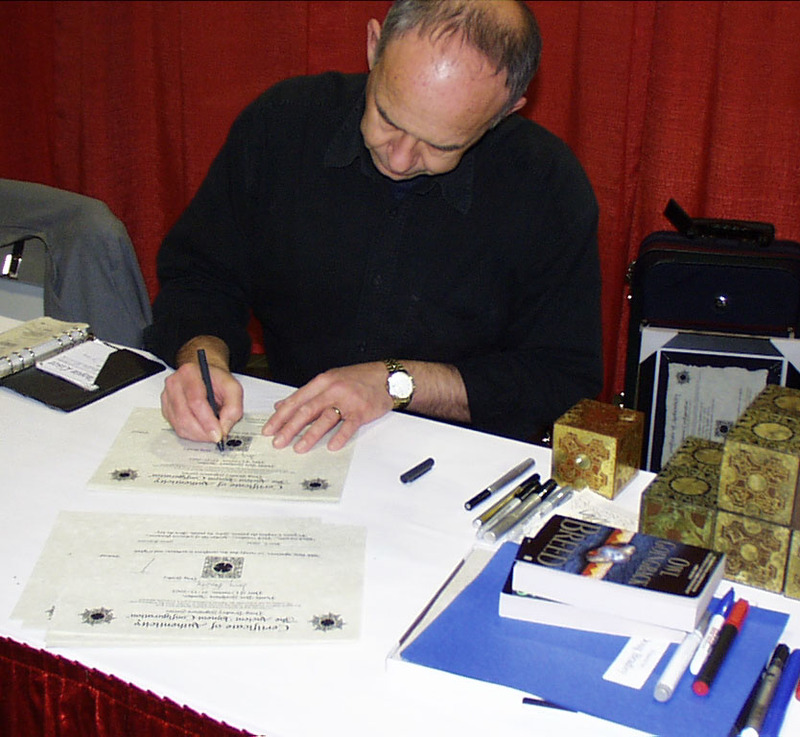 Among his works, the "Lament Configuration" being the most widely recognized by scholars of the occult. His own disappearance steeped in mystery, a blood coated room and a single lament box, in the last place he was known to reside. A fitting end to the man whose work brought the disappearance of hundreds? Or the rebirth of evil into a completely different realm? 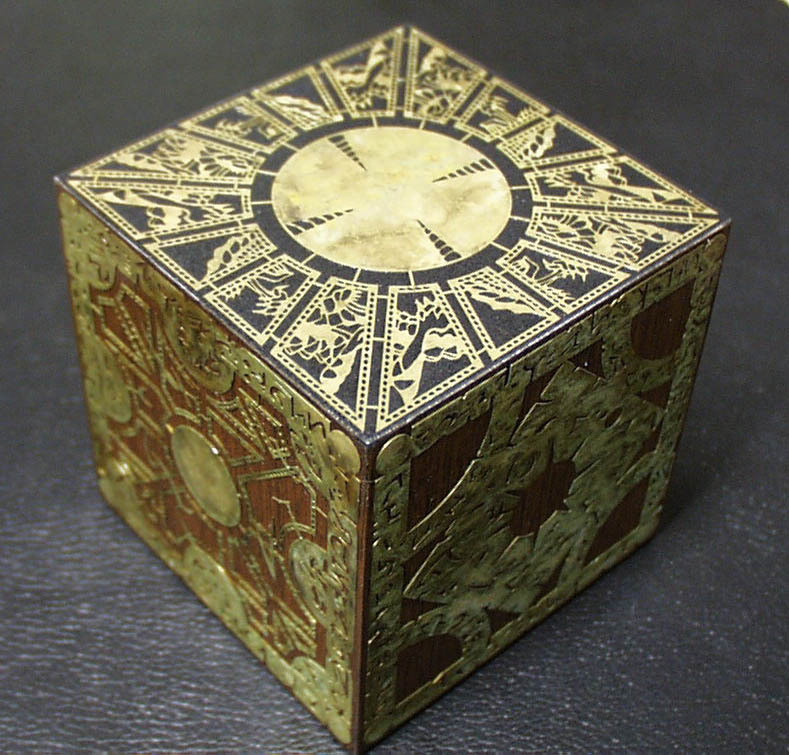 1) Each “Box of the Ancients” is created with a solid heart of Mahogany, the cube measuring 3X3 inches square. 2) The panels (aged for authenticity) are cut from the finest brass, painstaking detail is paid to every aspect of the art. 3) The boxes are coated and sealed with a satin low gloss finish. The surface made to look invisible, yet still tough enough to last a lifetime of sweet suffering. 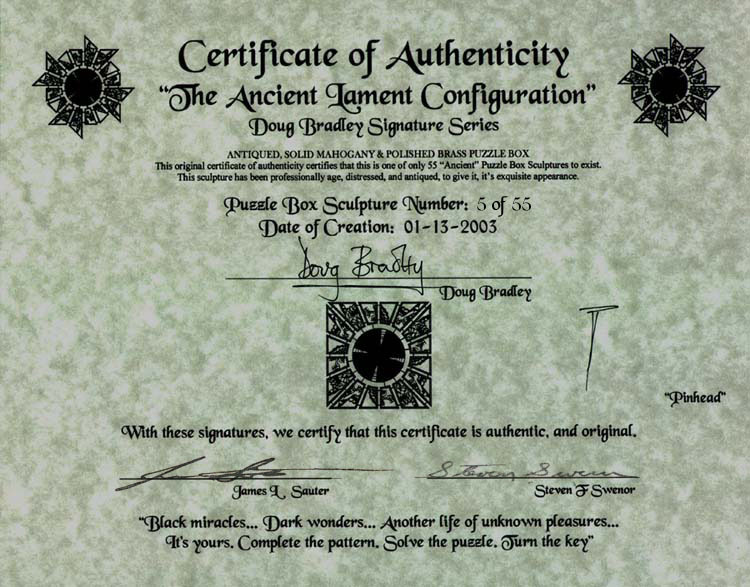 4) Each “Box of the Ancients” comes with a certificate of authenticity signed by none other than Doug Bradley (AKA: Pinhead). A limited number are also available with C.O.A. and box both signed by Pinhead himself. 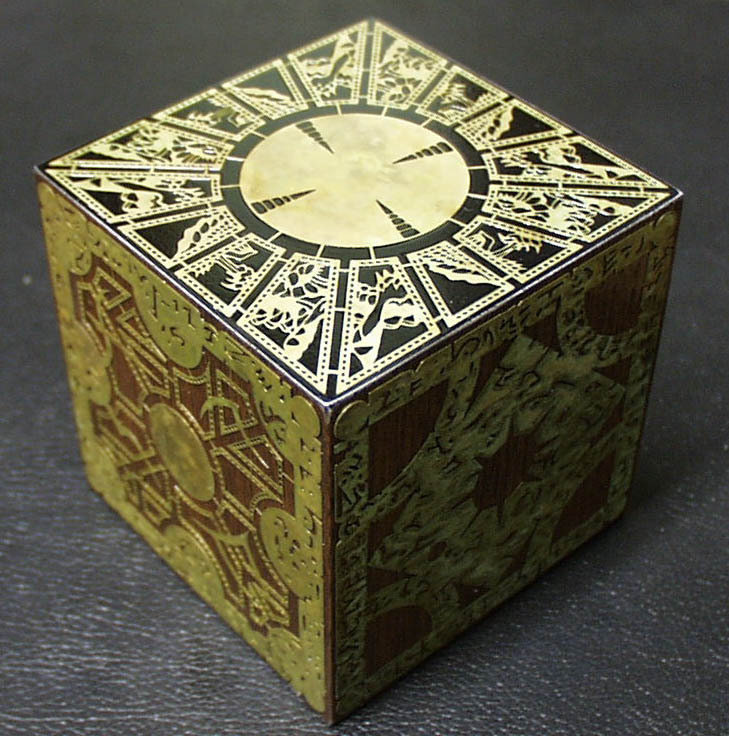 These puzzle boxes, are one of only 55 of these masterpieces. There will never be another made like them. These pieces ARE works of art. Every box is 100% unique in it's coloring and patina. No two boxes are alike.